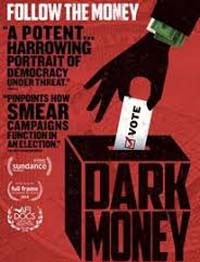 Join us at the Underground Cinema by WVIFF for October’s Movies That Matter Monday’s Film, ‘Dark Money,’ a political thriller that examines one of the greatest present threats to American democracy: the influence of untraceable corporate money on our elections and elected officials. When: Mondays in October from 7:00 – 8:45 p.m.
For the first screening on October 1, there will be a panel discussion after the film with election law experts including Anthony Majestro and representatives from our coalition. The film will also screen at the Underground Cinema at 7 p.m. every Monday in October (October 8, 15, 22, and 29). Purchase your tickets here. Join the event on Facebook here. 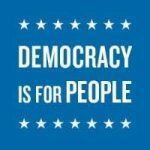 West Virginia Citizens for Clean Elections began in 2002 to support public financing of elections as a way for ordinary citizens to have a greater voice in the political process, both as candidates and contributors. This “clean money” option to would reduce candidate reliance on special interest money and enable those who lack personal wealth or access to wealth contributors to run a competitive campaign. WVCCE works to increase accountability and transparency in West Virginia elections, including advocating for full disclosure of political spending so that the public knows who is influencing our elections and legislative decisions.